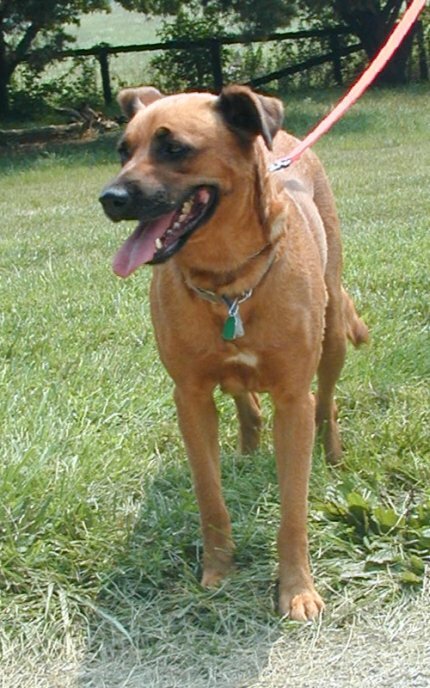 Lucky was a "street dog" in inner city of Baltimore, and was befriended by my friend Helene, who visits and works there. Lucky is probably less than 2 years old, but she already had two litters of pups. Animal Control picked her up in mid-June, and she was taken to the BARC shelter, where she was scheduled for euthanasia. We got her released to us. She has been a sweet lovable dog from that moment on. She was spayed on July 23, and has been in my home with my dog Muttley (also pictures above). The interaction of Muttley and Lucky is too intense for my life style. She wants to play rough and Muttley does not want to participate. 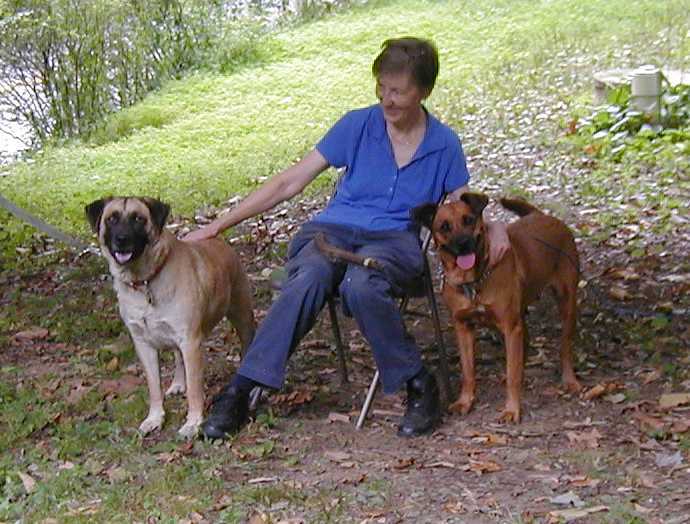 She has been, on and off, at a boarding kennel and is friendly with all the people there. She needs a home with a fenced yard because she was used to roaming at will. She has been reliably house broken in my house. She loves to be with people. She is best suited to be a single dog in a home. She is managebale on a leash around other dogs. I have no idea how she would be with small children. She was at a foster home where there were outdoor kittens and cats, although she occasionally barked at them, she did not chase them. Please contact me at pstech_at_smart_dot_net. Thanks!